Our fiberglass stone composite has all the natural beauty of real rock with the added durability and light weight of fiberglass. 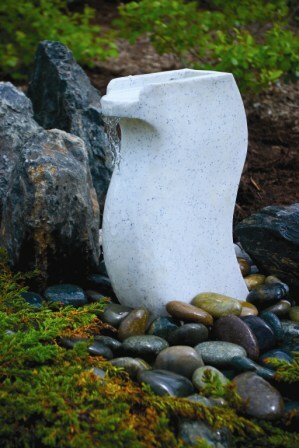 Our fountains create the soothing sound of trickling water, making it the focal point of any setting. 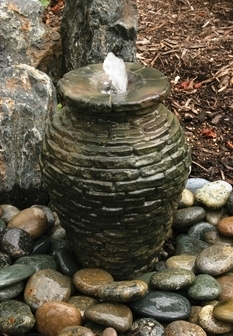 These kits include Decorative Fountain Piece, Water Pump & MINI AquaBasin all shipped in 1 box. 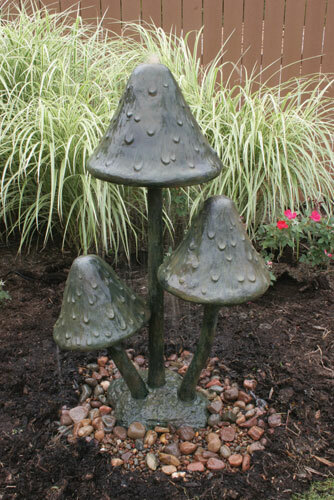 58009 The Giant Mushroom Fountain has all the natural beauty of real rock with the added durability and light weight of fiberglass. 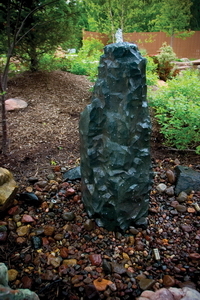 58014 The Stacked Slate Fountain has all the natural beauty of real rock with the added durability and light weight of fiberglass. 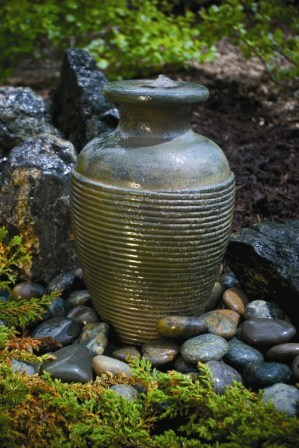 Modern Curved Creates the soothing sound of trickling water, making it the focal point of any setting. - FREE SHIPPING! 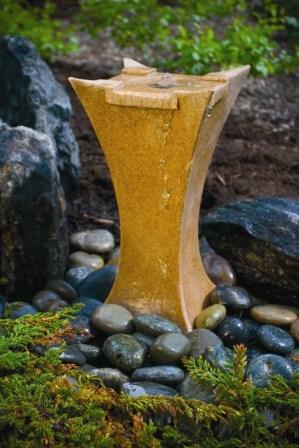 Quad Fountain Creates the soothing sound of trickling water, making it the focal point of any setting. - FREE SHIPPING! 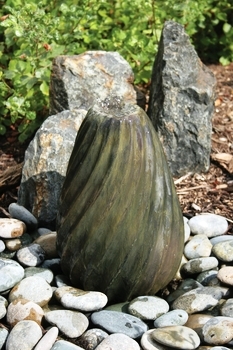 58019 Create a natural paradise in your back yard with Aquascape’s Swirly Vase Fountain.